We are a special tribe who share a bond and passion for downwind paddling on this special body of water on Maui. Everyone is welcome to experience the magic of Maliko. Here is where you'll find adventures, stories and more. I have not often been terrified while down winding, but looking back and to the outside near outer Sprecks, I was nearly panicked by the size of the waves coming through. un. The waves increased in steepness and I got a bunch of fast drops. The surfing was punctuated by a lot of hard paddling trying to chase other good waves down. Maliko can often have complex conditions resulting from multiple swells coming from several directions. It’s not unusual to have a wind swell traveling from east to west, parallel to the coastline. There may be one or more groundswells coming from several directions. The wind swell looked like 2 story houses coming at you. And, it’s not so much the height of the crests that are spooky as it is the depths of the troughs. Looking upwind, the waves looked hella scary. This post could save your life. 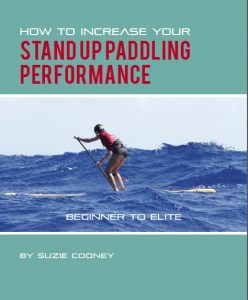 If you’re a Maliko Run downwind paddler, OC1, OC2, SUP, prone or surf ski, please read and share. True stories, gear checklist and more. We’d love to share your adventures and stories about your special Maliko Runs. Send us your tales and special moments and we’ll post on the blog. Remember to include photos.